Nitro Games, a leading Finnish developer and publisher of mobile games, announced it has launched it’s latest game “Medals of War”. The game is now available on Apple iTunes App Store in 77 countries. "We’re proud to have Medals of War available for players now on App Store. This is the first release from our new portfolio and our first big self-published game. Therefore, this is a special and important moment for us.” says Jussi Tähtinen, CEO and Co-Founder, Nitro Games Oyj. This launch follows Nitro Games’ strategy where the company is self-publishing it’s games in the western markets. Other markets, especially Asian countries, are planned to be accessed via publishing partners. 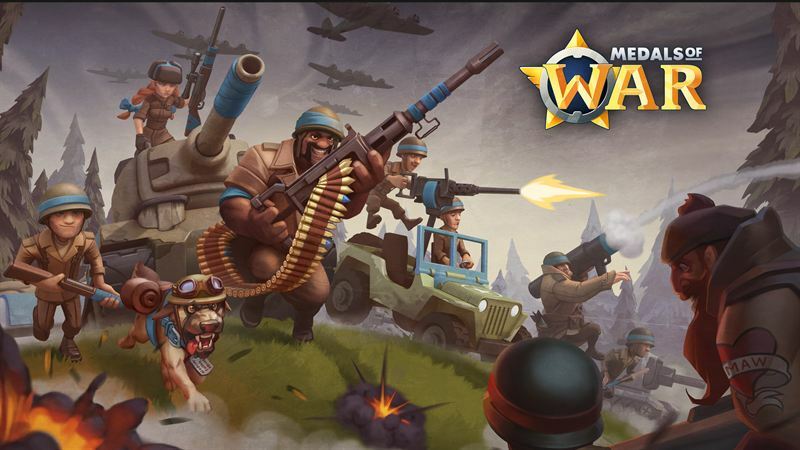 Medals of War has been developed with Nitro Games’ MVP –process, where the game development is closely tied to continuously collecting actual market data and community feedback, as the game is being further developed. "It’s worth noting that this launch is just the beginning. With free-to-play mobile games the actual work starts at launch, and all hard work done this far has been about preparing for this journey. We’re looking forward to providing our players with new content, engaging events and a whole lot of fun time.” concludes Jussi Tähtinen. This company announcement contains information that Nitro Games Oyj is obliged to make public pursuant to the EU Market Abuse Regulation. The information was submitted for publication by aforementioned contact person on 19 September 2017 at 09:00 (EEST).